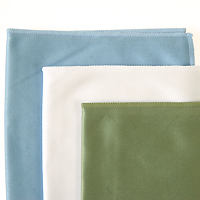 Our highest quality deluxe silky style cloth is ideal for small device screen cleaning, lenses, sunglasses, CD players, telescopes, cd's jewelry, computers and equipment. 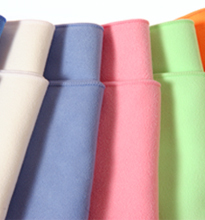 The cloths are 6 x 7 inches, low lint, washable, reusable and long lasting. Save on disposable products and cleaners. Also great for promotional purposes. We can put your logo or business information right on your cloth! These come with zig zag edging.